Stocks finish mixed on Thursday as Wall Street continues to fret over the potential for a global trade war. The Dow Jones Industrial Average's rise on Thursday followed three straight lower sessions. Even with its slight decline on Thursday, the S&P 500 has risen more than 2% so far in 2018. The Nasdaq fell for its third-straight decline after a seven-session winning streak. Stocks were mixed on Thursday, March 15, as investors reacted to the appointment of a staunch free-trade advocate to a key role in the White House and continued to fret over the potential for a global trade war. The Dow Jones Industrial Average finished up 115 points, or 0.47%. The S&P 500 declined 0.08% and the Nasdaq was down 0.20%. Leading the Dow higher were UnitedHealth Corp. (UNH - Get Report) and McDonald's Corp. (MCD - Get Report) . Intel Corp. (INTC - Get Report) was a laggard. Donald Trump's decision to appoint television commentator Larry Kudlow as his top economic adviser was partly linked to the market's optimistic tone, given the former Reagan-era economist's views on free trade and corporate deregulation. Kudlow's appointment also appeared to help soften concerns that Trump's targeting of China for further $60 billion in tariffs -- in an effort to reduce the $375 billion trade deficit the U.S. has with the world's second-largest economy -- could accelerate a brewing trade war. Stocks finished lower on Wednesday, March 14, as investors debated the prospects of a global trade war following the firing of Rex Tillerson as U.S. secretary of state. The Dow dropped 248 points, or 0.99%, to 24,758. The S&P 500 declined 0.57% and the Nasdaq was down 0.19%. The leading laggard on the Dow was Boeing Co. (BA - Get Report) , which fell 2.5% on Wednesday. Boeing declined by 0.09% on Thursday. In economic data, U.S. jobless claims fell 4,000 to a seasonally adjusted 226,000 for the week ended March 10, the Labor Department said. Import prices rose 0.4% in February, more than expected, after a downwardly revised 0.8% increase in January. 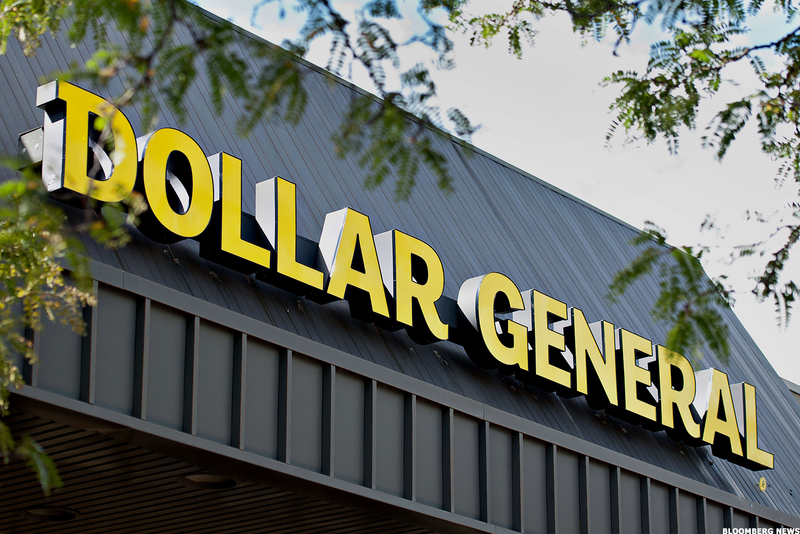 Dollar General Corp. (DG - Get Report) rose 4.7% on Thursday after the retailer posted fourth-quarter same-store sales above analysts' expectations and said it expects total sales to rise 9% in fiscal 2018, with earnings of $5.95 to $6.15 a share. Sears Holdings Corp. (SHLD earned $182 million, or $1.69 a share, in the three months ended Feb. 3, a swing from a year-earlier loss of $607 million, or $5.67 a share. The latest period included a benefit of $470 million from the new U.S. tax law. The stock fell 6.6%. Hasbro Inc. (HAS - Get Report) fell less than 1% and fellow toymaker Mattel Inc. (MAT - Get Report) fell 2.3% after Toys "R" Us announced it would be closing its U.S. operations, jeopardizing the jobs of about 30,000 employees. Earnings are expected after the closing bell Thursday from Adobe Systems Inc. (ADBE - Get Report) and Broadcom Ltd. (AVGO - Get Report) .